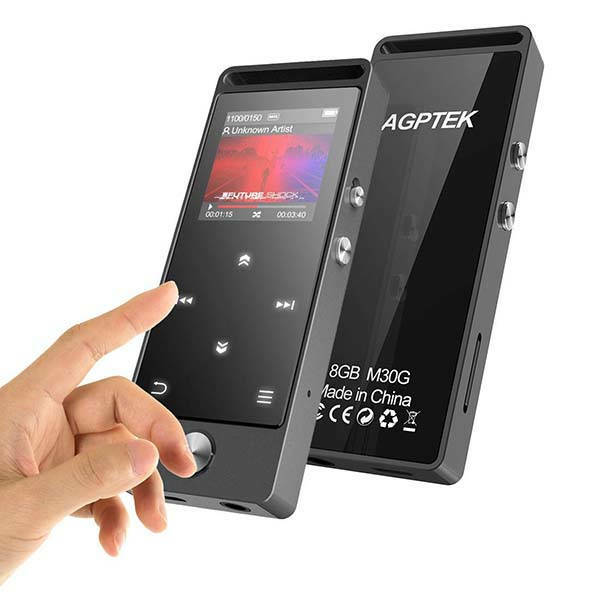 AGPTEK M30 portable Bluetooth MP3 player lets you enjoy lossless sound quality with your Bluetooth headphones or wired earbuds. Need it to store all your favorite music without bursting the internal storage of your phone? Let’s go on checking. The M30 a beautifully-crafted and budget-friendly MP3 player that measures 3.27 x 1.26 x 0.35 inches and weighs 1.83 ounces. As we can see from the images, the music player shows off a minimal and stylish appearance design, and the meal body not only delivers a solid construction, but also provides enhanced modern aesthetics. Meanwhile, the compact bar-shaped form factor with a seamlessly integrated attachment loop allows it to be always at your side wherever you go. 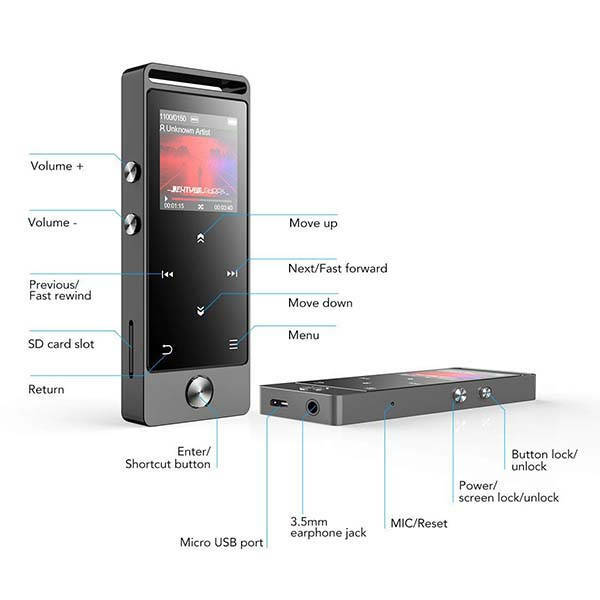 The portable music player supports various music formats including MP3, FLAC, OGG, APE, WAV, WMA and more, and its built-in professional intelligent digital noise reduction chip ensures the player delivers high sound sampling rate. Furthermore built-in Bluetooth 4.0 technology allows it to work with your Bluetooth headphones, and it supports listening FM radio via Bluetooth. A 1.33″ HD color screen shows you the info of your music, and the touch buttons let you control your music playback without making any noise. Moreover, its 8GB memory can store up to 4000 songs, and an extra microSD card slot supports up to 128GB memory card. Built-in rechargeable battery offers up to 25 hours of music playback on a 2-hour full charge. 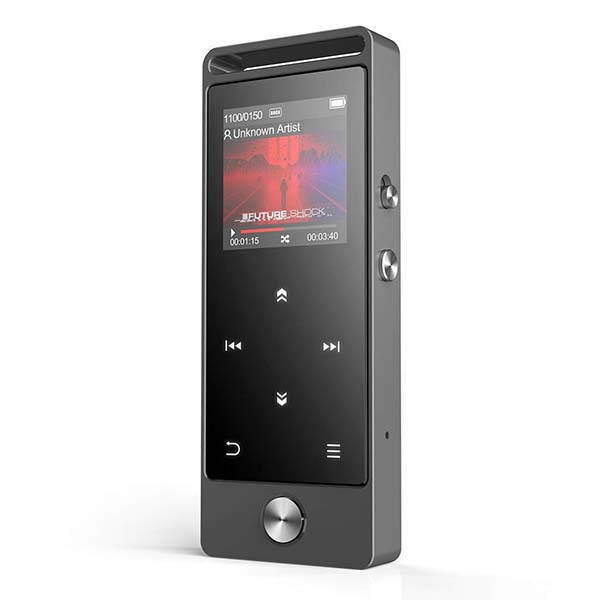 The M30 portable Bluetooth MP3 player is priced at $35.99 USD. If you’re interested, jump to the product page for its more details.